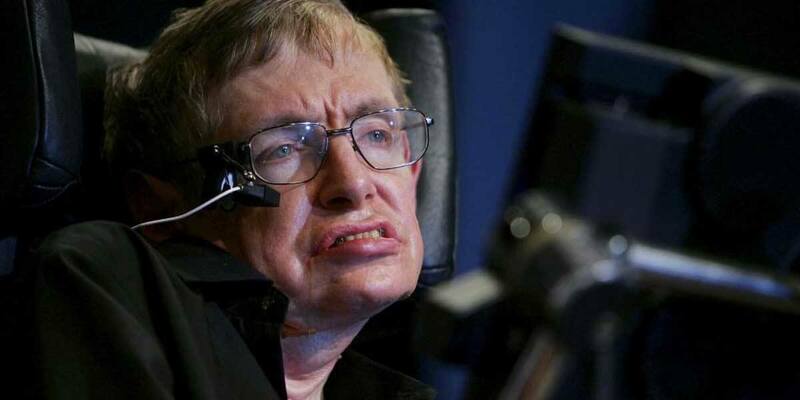 Legendary theoretical physicist and cosmologist Stephen Hawking, who was one of the greatest scientists of the world, sadly passed away at age 76 on March 14, 2018. Stephen Hawking was a great inspiration whose work in black holes and relativity stood the test of time. Known for unravelling the mysteries of space it was his Theory of Everything : the universe evolves according to well-defined laws, which he will most be remembered for. How The Love Story Began? Stephen met Jane,the love of his life when he began his degree programme in Cambridge. It was a New Year’s party when he met Jane Wilde,one of his sister’s friend.They began to know each and other and fell in love. The signs of his disease triggered when one day he fell off the the stairs and struggles to get up on his feet.Eventually,doctors confirmed he was diagnosed with motor neuron disease (known as ALS or Lou Gehrig’s disease). Doctors told him ,he has two more years to live. Jane decided to challenge Hawking’s death. The two got married in July 1965 and the following year, Hawking’s received his doctorate. At this point, Stephen already had to use a cane, but he would gradually lose his ability to walk entirely. The young couple, built a home together, gave birth to kids in quick succession and just lived the time they had together to the fullest. 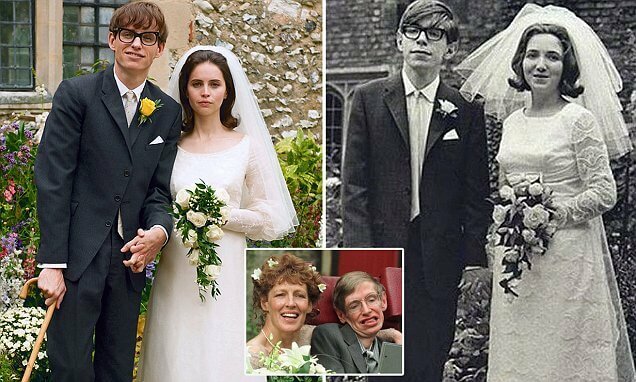 The love and optimism surely triumphed with Hawking’s actually, defying the disease by 1969 and outlived what the doctors had predicted, although he became wheelchair bound. With growing children and a wheelchair bound husband, life became extremely difficult for the two. His ailing disease continued to cause a rift between the two as with each passing day, Jane was feeling worn out but she still hoped for the best and that things will get better with time. In 1985, Hawking was struck with Pneumonia and was put on life support, while everyone asked her to disconnect the life support and let him die but she blatantly refused. He recovered, however, he needed a 24 hour nursing support. With Stephen reaching new heights, jane started feeling that “her marriage was engulfed and swept away with fame and fortune”. The marriage soon crumbled down when Stephen fell for his nurse Elaine Mason and married her in 1995.They were married for 11 long years and divorced her in 2006. Jane married her choirmaster and friend, Jonathan Heller Jones in 1997.They are still married today. For the last decade of his life, the scientist’s relationships with his former wife, two sons and daughter were joyous. True love finds it’s way out through the most difficulty battles and this love story found it’s way.